34h X 24w in. each approx. 11.25h X 29.63w X 1.5d in. Julian Opie is best known for his unique conceptual art installations and his ability to capture the essence of the human the form in motion. The artist’s minimalist renderings, sculptures and mixed media works appear in public spaces, in temporary and permanent installations, throughout the world. 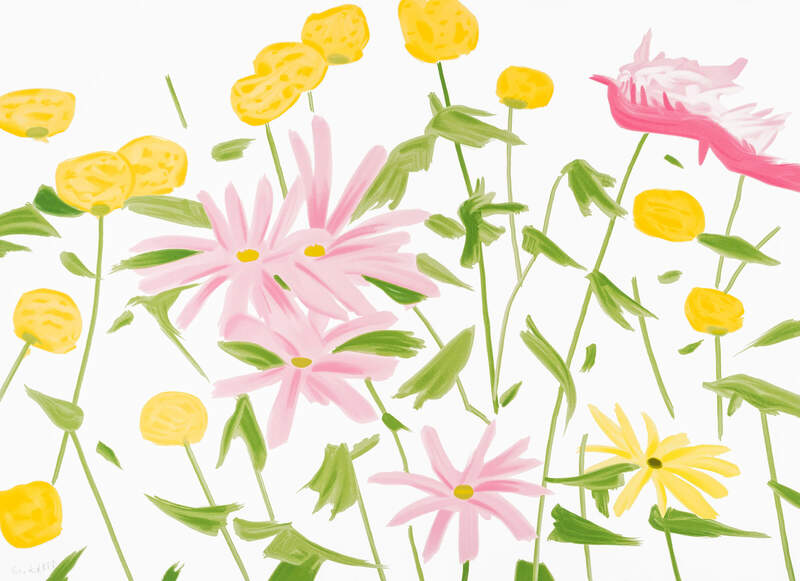 For much of his first decade and a half as a professional artist, Julian Opie’s focus was on objects – worldly and otherwise. 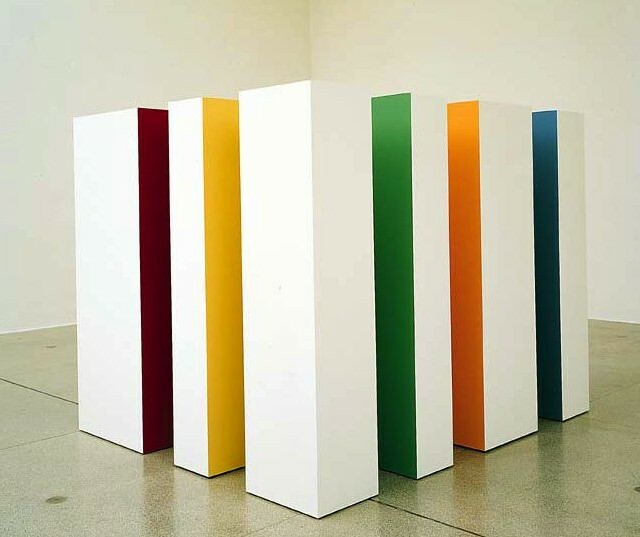 The artist’s early sculptures and paintings include a wide array of minimalist interpretations of physical articles large and small – from buildings and furniture – to grand concepts relating to the nature of planetary and human condition. Much of Opie’s works during the first half of his career deal with the concepts of space and time. 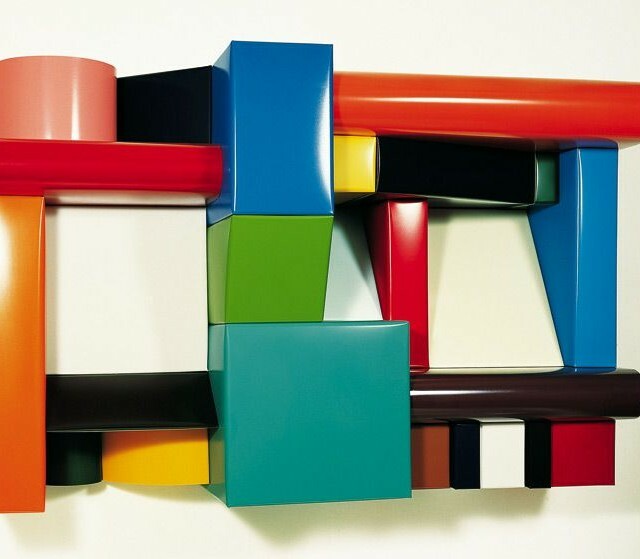 Often times, emphasis was placed on architectural functions and manifestations, including office buildings and cityscapes, and the cognitive experiences related to human anticipation of such assemblies of geometric shapes, patterns and spatial relationships. 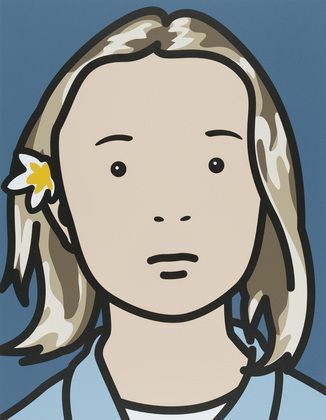 In the late 1990s, Julian Opie began mastering a new style of capturing human details within figurative poses and portraits – in minimal detail – capturing the essence of personality traits and movement. 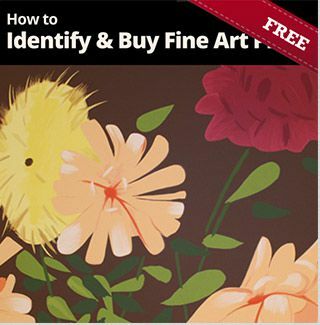 It is for these qualities within his work that the artist is best known for and sought after today. Opie’s subjects have ranged from all walks of life, and his studies often reveal how, with just a handful of details included (or excluded) the viewer is afforded a very similar degree of storytelling. The saturated monochromatic backgrounds with soft hues help set the stage, amplifying the details of each component. Sometimes the accessories – necklace, earrings or a cigarette provide clues about the subject’s personality. Other times it’s the angle of the brow or shape of the mouth that gives away aspects of an individual’s disposition. And other times, it’s more blatant – such as a dramatic hairstyle or articles of clothing. 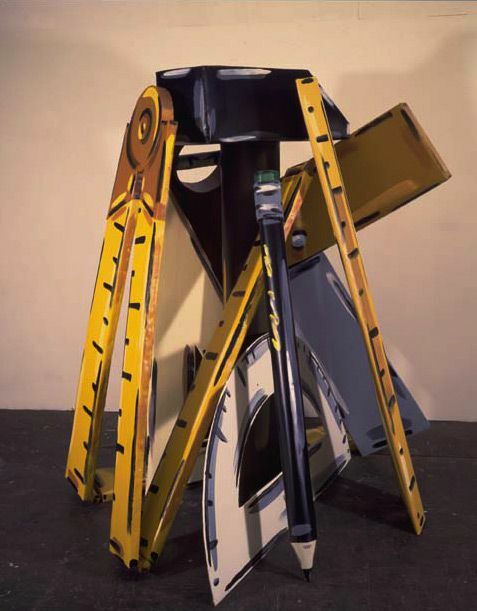 Regardless of what clues Opie chooses to share, there are always our own experiences that fill in the blanks, and this artist, like all minimalists, relies heavily upon the viewer’s imagination to complete the work. 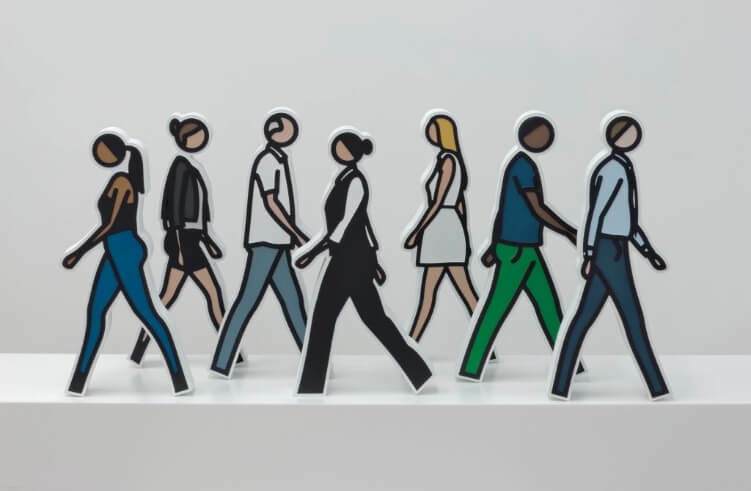 Julian Opie’s style is considered modern along another parallel too – the artist’s inclination to embrace technology. Computer Animated Drawing allows Opie to efficiently manipulate the details of his renderings and output the results within a variety of media. LED has become a favorite for Opie’s characters to demonstrate movement, whereas in previous paintings, steel cut reliefs and various media, he only suggested such movements. 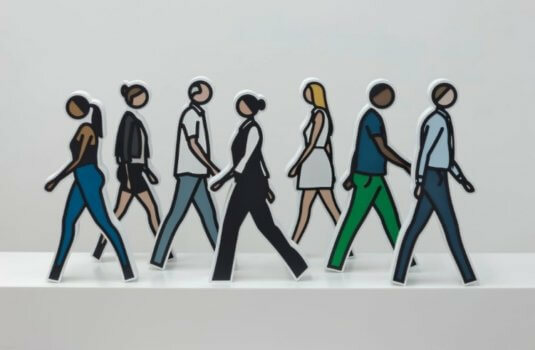 Julian Opie’s newfound technological capabilities allow for commissioned installations to be manifested on computer screens, with an understanding of the potential for future programming enhancements. 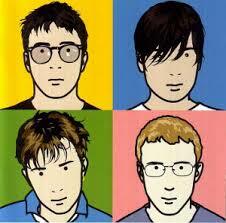 Of the many works for which Julian Opie is well known, the album cover he created for British Pop band Blur is among the most notorious. The album released in 2000 entitled Blur, The Best Of received critical acclaim for its musical and visual qualities alike. Opie’s iconic design of the four band members won that year’s Music Week CADS, Best Illustration award. 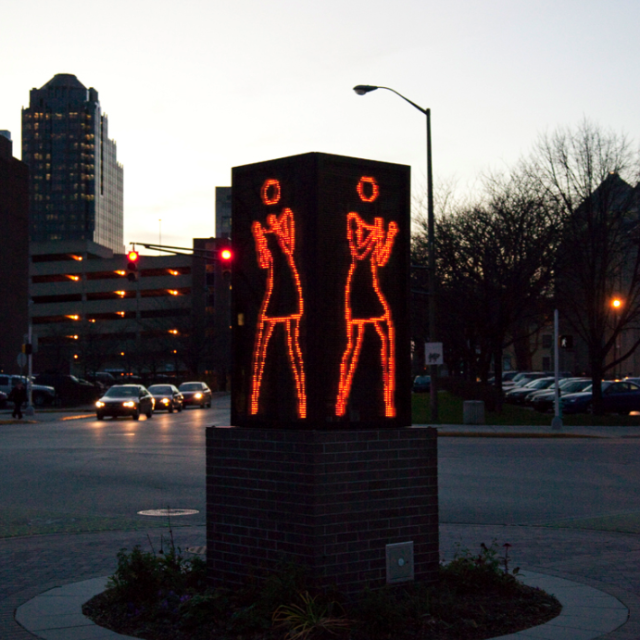 In 2007, Julian Opie created Ann Dancing, an installation in downtown Indianapolis, Indiana that consists of a four-sided sculpture with LED screens on each side − displaying a simplistic but mesmerizing animation of a woman swaying side to side in dance motion. More recently, in 2012, Opie completed a permanent installation in Calgary, Canada entitled Promenade − a 24’ tower with an LED screen on each of its four sides – featuring a colorful cast of characters bustling about, high above Calgary’s East Village. 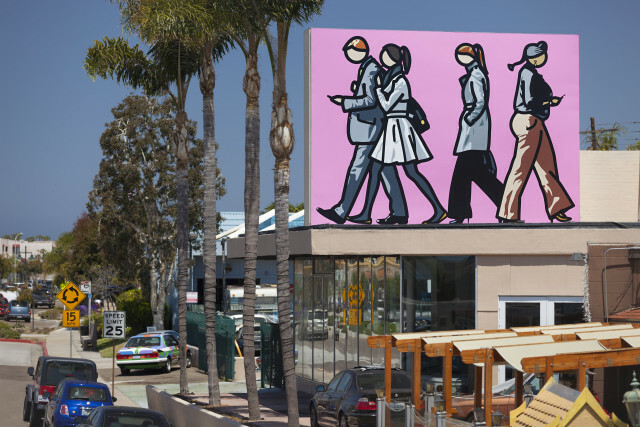 In addition to his public installations in Europe and North America, Julian Opie’s art has been consistently commissioned in public spaces in Asia and Australia as well. Whether it’s a portrait or a landscape, Julian Opie strips things down to their bare essentials. Born in London in 1958 and raised in Oxford, Opie was one of the Young British Artists (YBA) who graduated from Goldsmith’s, University of London. As late autumn 2014 brings us closer to another bustling holiday season, our South Florida Contemporary Art Gallery has much for which we are grateful. Among our favorites are a group of new works from the greatest Pop, Op and Abstract Expressionist artists the world has ever known. It’s our pleasure to share such beauty with you, and we hope that you’ll visit with us soon, here in warm Boca Raton. 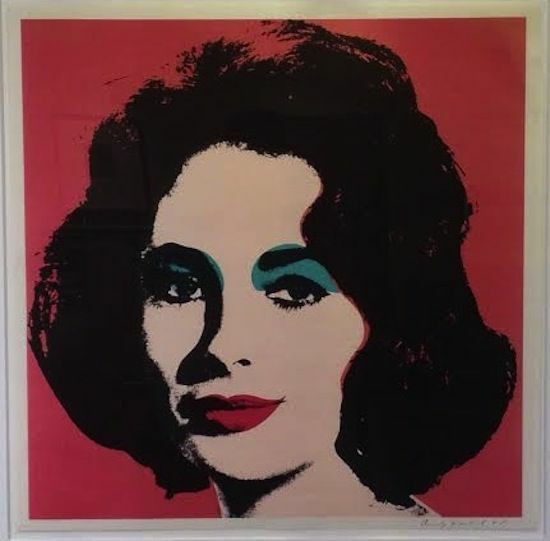 Once again, we are proud to introduce newly acquired works that are now available at Vertu Fine Art. Among them is Andy Warhol’s famed Golden Mushroom – from Campbell’s Soup II, a well-known piece from the artist’s second set of soup works produced in 1969 − seven years after the collection that drew significant attention to emergence of the American Pop Art movement and Andy Warhol.